How do you view your organization’s vendors? As a pain or a partner and important part of a relationship? You interact with vendors every day. You do it in the context of specific, necessary functions like gathering requisite information, processing invoices, issuing payment, and answering inquiries. Your focus may be on just that. Getting those things done as well as your team and conditions allow. Any thought of the actual vendor is merely a second thought. As long as they get paid and don’t cause trouble, they’re fine — and you’re good. But whether they’re having a very good day isn’t really a concern of yours. Understandable. If they have a problem, well it’s theirs, not yours. Here’s another view. Your organization wants vendors that provide on-time delivery of products of consistent quality, with good service and attention to detail; it wants vendors that guarantee their products; vendors that are financially sound, and that will be there in the long run. Your company wants good relations with good vendors it can trust and rely upon. That makes sense, right? That view is the big-picture one, which can sometimes get lost in the day-to-day work that consumes your attention. But that larger view is the context in which the day-to-day should operate. Creating and sustaining good relations with good vendors requires intentionality on your part. But what does that mean from an accounts payable point of view? The primary thing, of course, is paying on time according to terms, rather than stretching payments according to short-term (and short-sighted) objectives or due to a lack of process organization and efficiency. After all, terms have been agreed to. Ask procurement. When you ignore them, you break trust. And in any relationship, trust is essential. Then there is your interaction with vendors. How you handle that affects how a vendor views your organization. Address problems quickly. Do so courteously. Take vendors’ concerns seriously and look for long-term (e.g. process improvement) solutions, not just short-term answers. Make your department — which is an extension of your organization — the one that vendors like to deal with. It’s taking a strategic approach. When your tactical operations are informed by a strategic view that values good vendor relations, you build trust with vendors. By treating them with respect, you gain respect in return. And you move up on the vendor’s “good customer” list, which has benefits like better prices or terms, and greater support, including ideas that can help your organization succeed. And if at some point your organization needs a break, your vendors are likely to give it in view of the relationship. So when you hear “vendor relations,” think of it in that second view. For example, don’t think of vendor phone calls as an inconvenient interruption of your “real work.” View them in the larger context of positive relations. 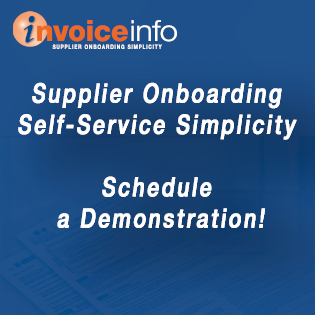 Then look into how to make it easier for the vendors to get answers while eliminating the bulk of the phone calls! It’s called win/win. InvoiceInfo can show you how. Click here.